Editor’s note: There are many marketers who work within the marine field, some forging outstanding business relationships with clients spanning decades. This is not a story about which firm is best; it’s about how one agency conducts the business of marine marketing. The challenges of selling in today’s market are obvious to anyone with stagnant inventory on their shelves, in their showroom or in their warehouse. 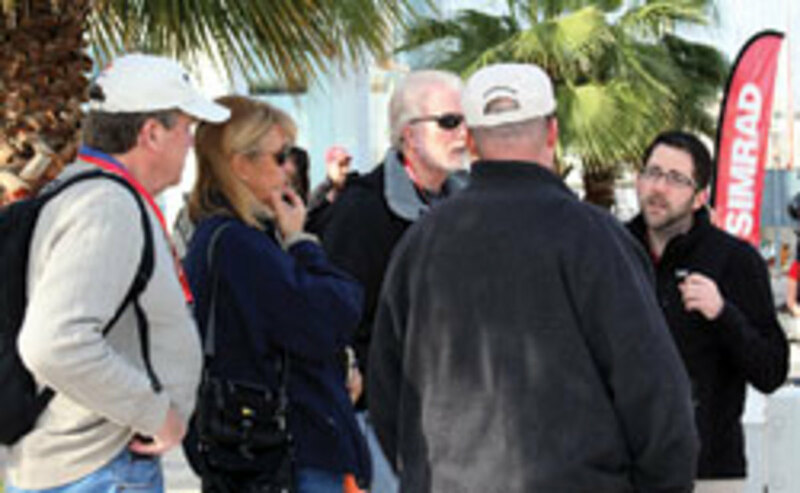 The fall and winter boat show seasons offer a window of opportunity, as do price point, quality control, customer service — and marketing. Unlike the face-to-face, handshake approach practiced on showroom floors and in business meetings, marketing typically involves recruiting an outside source to sell. Andrew Golden, 37, and Rus Graham, 50, are the principals of Rushton Gregory Communications, a marketing firm Golden established in Boston in 2002 as Golden Public Relations. Graham joined him in 2005, and the firm became Rushton Gregory Communications (for their two middle names). Although marine marketing is almost as old as the industry itself and the staples of a well-written press release and high-resolution imagery are essential, Golden and Graham strive to distinguish Rushton Gregory by pushing hard for meetings between clients and time-strapped journalists. Weeks in advance of major boat shows, the two try to lock in appointments with writers at the shows. And they take their clients on road trips to the offices of publications along the East Coast. A typical press tour could be a road trip featuring Golden, Graham or both, along with a client, stopping for short presentations to editors at marine publications in New York City, Norwalk and Essex, Conn., and on to Newport, R.I., Boston and Camden, Maine. The rapid-fire presentations might only run 30 to 60 minutes, but in that time the group essentially has a journalist’s undivided attention. 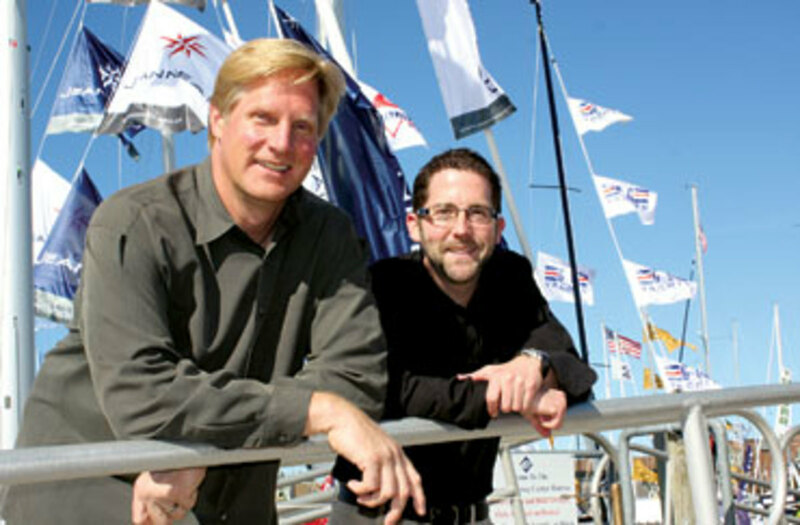 Golden and Graham are relatively new to the marine industry. Golden started his career marketing power management and integrated circuit technologies for the semiconductor industry; Graham’s career trajectory passed through the high-tech and consumer electronics industries. Both separately traveled the trade show marketing circuit for their previous employers and formed opinions about what was being done right and wrong. “There was so much news — so much noise, if you will — because there were a lot of public companies, and they put out a great deal of information and press briefings to promote their brands and their stock,” Golden says. In 2001 — the year before Golden set out on his own to start Golden Public Relations in his Boston apartment — Graham, Jeff Fellows and Kim DiGaetano founded Navman USA to spearhead the North American entry of the New Zealand marine electronics manufacturer Navman. In 2002, Golden’s first client was Navman USA, which introduced 28 products at that year’s Miami International Boat Show. After a series of one-on-one editorial meetings at the show, Golden took Jeff Fellows, who was then Navman’s president, and Graham, then Navman’s vice president of marketing, on the agency’s first media tour, visiting 38 publications and further introducing and promoting Navman products to journalists. In 2004, Brunswick Corp. purchased Navman USA and placed it under its Brunswick New Technologies marine electronics division (Navman-branded products then joined the Northstar brand), where Graham continued to manage marketing and Golden continued to handle PR efforts. In 2005, Graham left Brunswick to join Golden and form the current firm. “When we came into this industry we both had the same philosophy on the value of one-on-one meetings with media outlets,” Golden says. The value is in “exploring story angles with editors and writers while getting our clients out in front of journalists and making them known as people, rather than just a brand,” he says. After an analysis of a client’s product or line — Golden is tech-savvy and strives to master how a product works — Rushton Gregory develops a list of marketing options to best leverage media exposure. Golden and Graham are known for trying to get their clients in front of reporters during busy boat shows that are stacked with one press conference after another. They invite journalists to dinners and on cruises and make impromptu 15-minute pitches at their clients’ booths.